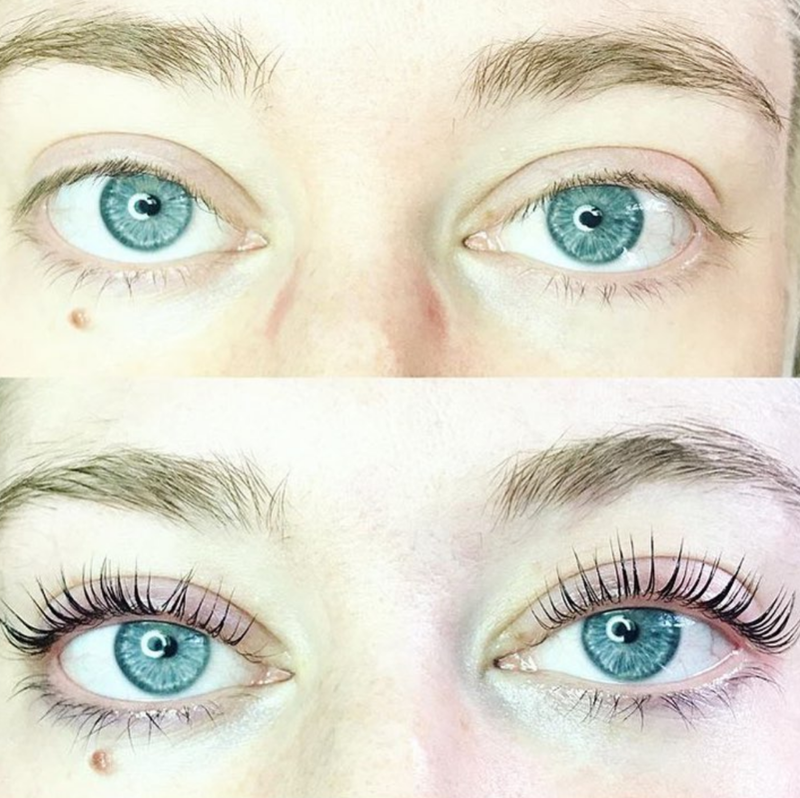 Lash Lifting uses your own natural lashes to lift them at the root and create a natural-looking lift. The lashes will appear longer and the eyes more open. Our technicians are trained in using a special gel and that is carefully applied (30-45 minutes process) to semi-permanently curl the lashes. Think of it like a safe perming technique for your lashes! The results can last up to 12 weeks with proper maintenance. We also offer lash tinting (darkening of the lashes) and semi-permanent mascara (darkening + thickening of the lashes for smudge-proof lashes that last up to 4 weeks). Here's a few samples of our lash lifting and tinting. Call the salon to schedule your appointment today!